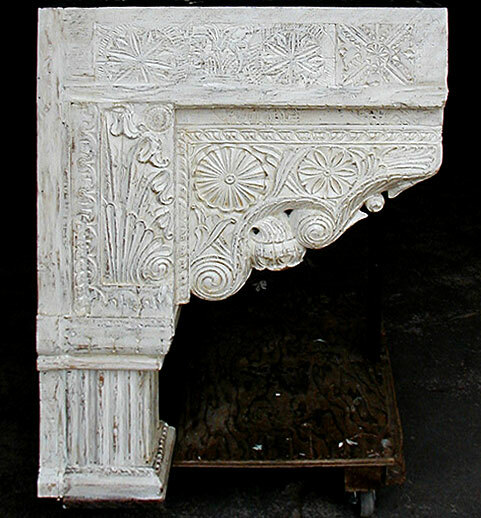 Stove hood with antique corbels. 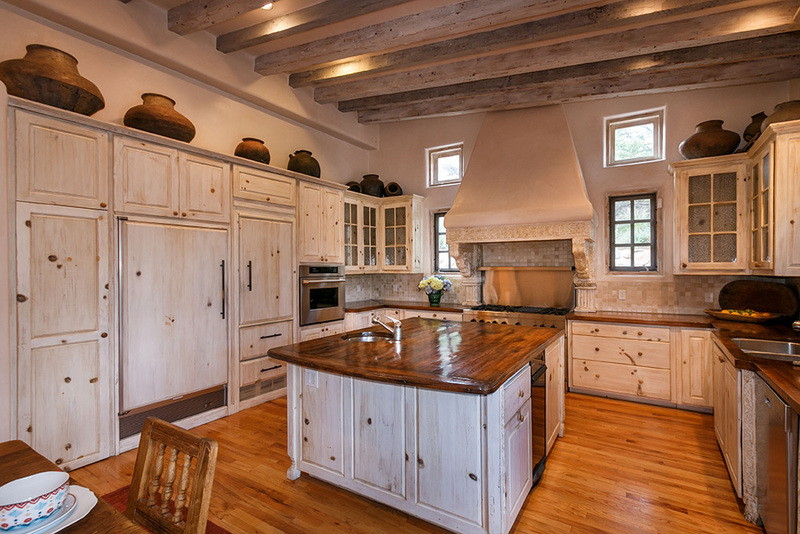 This amazing kitchen is as beautiful as it is functional. 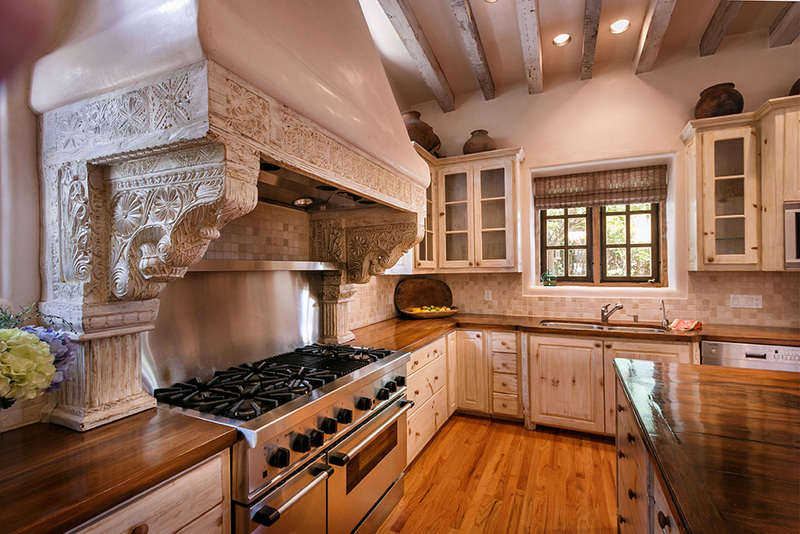 Wood panels front the refrigerator and other appliances, giving the room a warm feel. 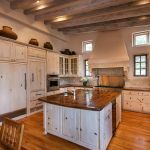 The island features a sink and works well as a central prep station. 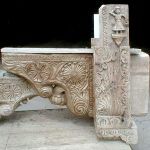 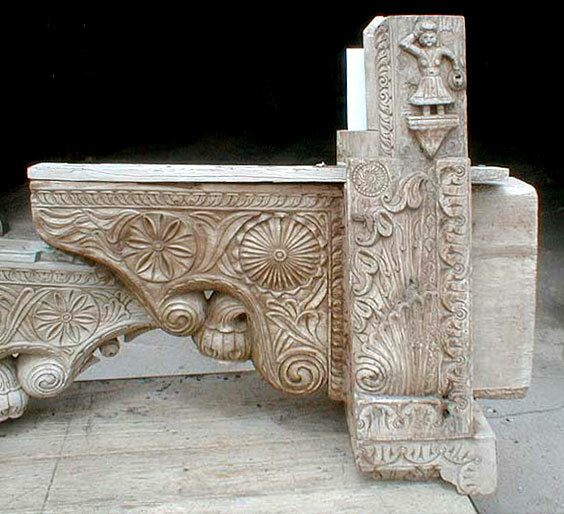 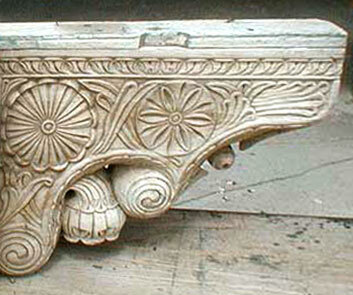 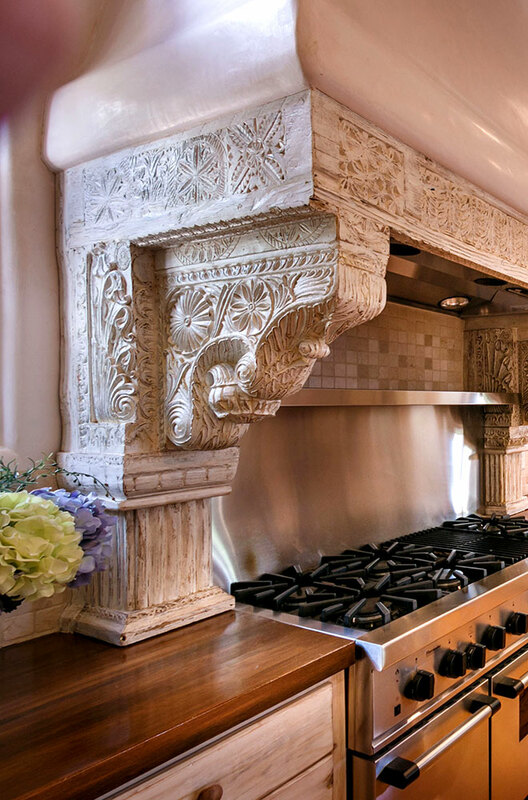 A focal point of the room is the stove hood, which is crafted using carved fragments and antique corbels and columns. 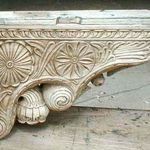 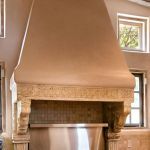 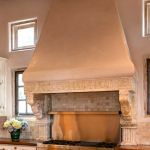 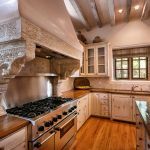 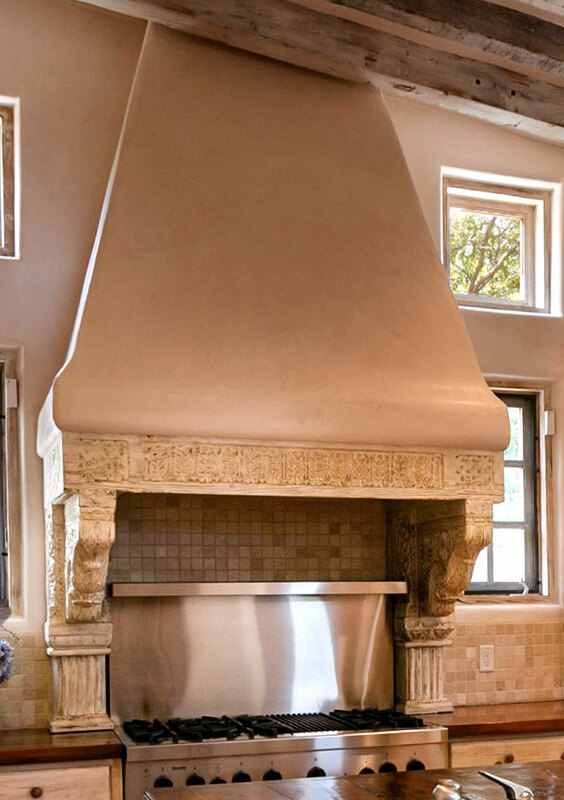 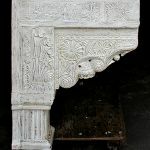 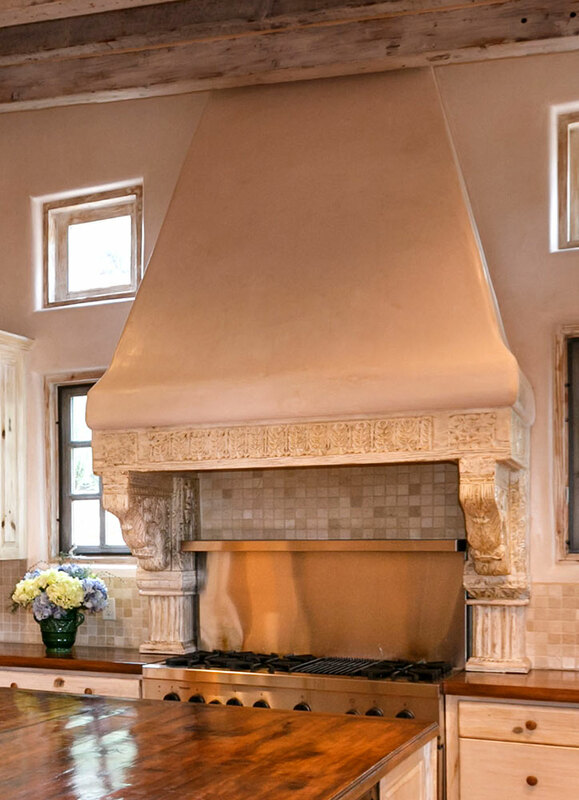 Additional photos show the antique corbels used to make the stove hood, highlighting the lovely floral motif, as well as additional views of the stove hood and custom kitchen cabinetry.